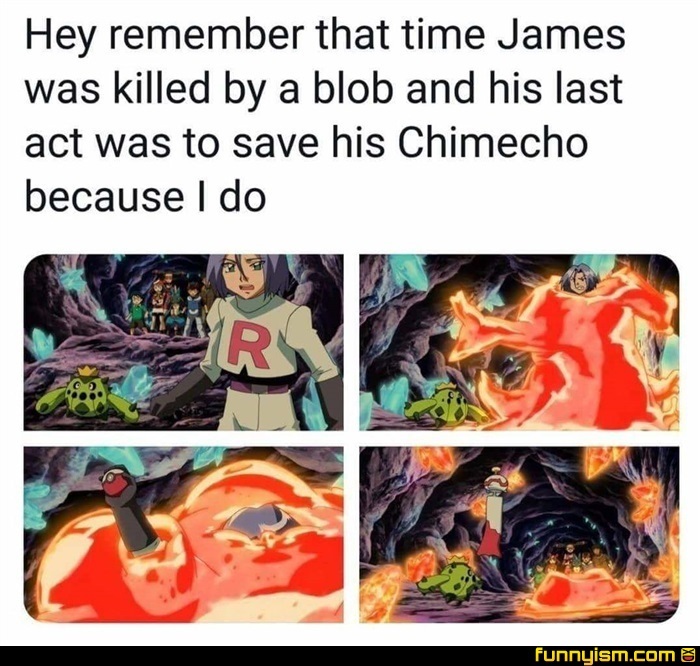 James was the best trainer. Maybe not the best person, but to his pokemon he was. @Joseph The Broseph, I think that’s one of the mistakes he learned from to teach his Pokémon better. @Joseph The Broseph, that seems like one of the last mistakes he made as a trainer, though, because from that point onward he seems to pamper basically all of his Pokemon when he can help it. @JuztAD00d, I kind of doubt that, since I don't think he'd intentionally do something he knew would sink the ship that he's on in the middle of the ocean, miles from any landmass. @Captain Anderson, it was in a movie, and he got better. @Marida Cruz, this morning he woke up dead! How was he ever considered a villain? @ThePandaPool , because he's still trying to actively commit theft of another person's Pokemon. But mostly I agree and think antagonist is a more fitting term. @Marida Cruz, I like the theory that team rocket was holding back the bigger threat. Would make sense if he was in on the bigger picture. @ThePandaPool , I'd believe that, but they really weren't able to do much against Butch and Cassidy or Giovanni, or against any of the other villain teams, who all posed serious danger to the main characters, and sometimes to the region at large. @Marida Cruz, that's the thing. They weren't a big thing until rocket was beaten down, as though rocket was what held them back. Idk. It was a fan theory I read that I really liked, partially because I could turn jessie into a hero of sorts.